Wore this to Genbeauty on Saturday, held in Brooklyn. If you are a makeup junkie, I am sure you're aware Generation beauty. When I m going to be on my feet all day, comfort is key. This outfit sums it up perfectly. 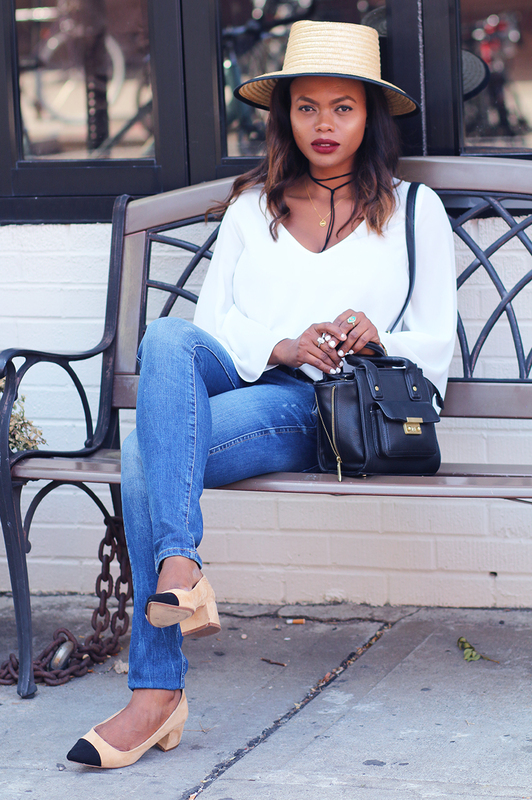 I went for skinny jeans, white blouse, cap toe heels all from Zara and Philip Lim bag. We grabbed lunch at our fave Cuban spot in Brooklyn, Cubana cafe on smith street. You goals definitely check it out if you are in the area.